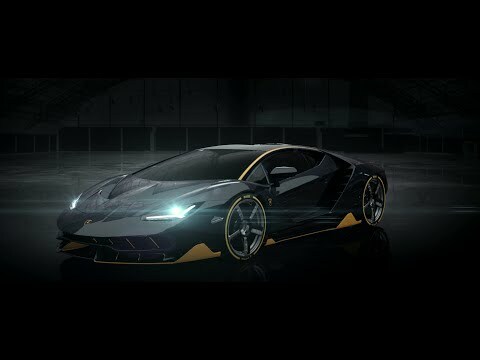 Lamborghini Centenario was unveiled at Geneva Motor Show, in the year the company celebrates the centenary of founder Ferruccio Lamborghini’s birth. A one-off limited edition of 20 coupés and 20 roadster. The Centenario continues Lamborghini’s one-off strategy and demonstrates Lamborghini’s innovative design and engineering competencies. Using the V12 architecture, the Centenario’s naturally aspirated engine produces 770 hp and powers from 0-100 km/h in 2.8 seconds, and from 0-300 km/h in 23.5 seconds with a top speed of more than 350 km/h. Braking from 100 km/h to standstill is achieved in 30 meters. A monocoque and body in full carbon fiber provide a low weight of 1,520 kg and a weight to power ratio of just 1.97 kg/hp. The luxurious interior can be finished to each Centenario client’s specification. Sports seats in lightweight carbon fiber are included, with new stitching that features on the length of the dashboard, steering wheel, sunvisors, rocker covers, and the new inner door panels made of carbon fiber and Alcantara. Functionality and connectivity are essential features of the Centenario. The body of the Centenario is built entirely in carbon fiber, with a monocoque and all other body parts and trims in carbon fiber. With a dry weight of just 1,520 kg, the Centenario achieves a weight-to-power ratio of 1.97 kg/hp and a torsional stiffness of 35.000 Nm per degree. Accelerating from 0-100 km/h in just 2.8 seconds and from 0-300 km/h in just 23.5 seconds, the Centenario’s top speed is more than 350 km/h. Braking distances are equally impressive: from 100-0 km/h in just 30 m and from 300-0 km/h in 290 m.
The irregular wheel arches, both front and rear, are a defining feature of the Centenario, as they have been in other Lamborghini models. Accented in matt carbon fibre and concealing airflow ducts, they highlight the aerodynamic design of the car. The profile of the rear wheel arch particularly attracts attention, accentuating the Centenario’s rear-wheel steering. Pirelli PZero tyres, developed specifically for the rear-wheel steering, sit on exclusive 20”/21” front/rear rims in forged and milled aluminium. The spokes’ fan shape, accented in carbon fibre, mask ducts extracting hot air from the carbon ceramic brakes, finished with a central-locking wheel nut sporting the Lamborghini bull logo.